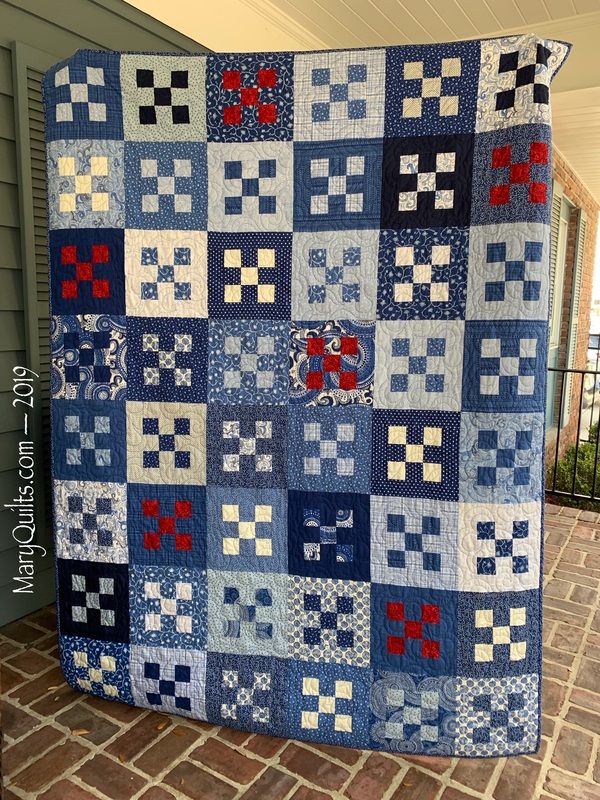 Very pretty little quilt from charms. And of course I love the other. I don’t use a lot of precuts, so I don’t have any favorite patterns for fat quarters. The Framed Nine-Patch looks great. Congrats! on your finish. I’ll be looking forward to seeing what you end up with using those HSTs! Wow, you and mom are getting so much done. Do you think she’d mind coming to visit me and do the same. Dolly would love keeping her company in the sewing room. Love the use of red in some of the blocks. I really like your framed 9 patch. You and your mom make quite a team and really accomplish so much together. It has been fun to see what the two of you have created in such a short time span. Thanks for sharing. Love the framed nine patch! You two make quite a team. Very sweet quilt. I’ve done several Hearts & Stars quilts with fat quarters. It’s a Buggy Barn pattern from many years ago. 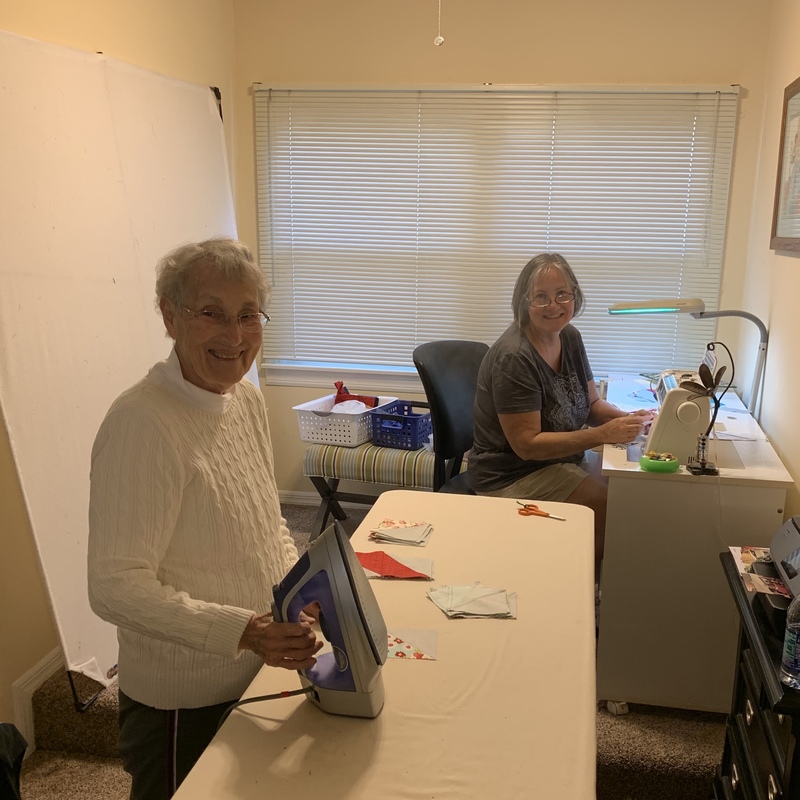 It’s easy to cut 3 fat quarters at a time. You and your mother have accomplished so much! I have enjoyed following your progress. Love both of the quilts. My favorite go to for fat quarters is the “Fat Quarter Style” book. I belong to a BOM group and we used this book last year. There were 12 of us and we each picked a different quilt to make each month. Awesome 9 patch quilt and thanks for the pattern. It’s been fun to watch what you and your mom are working on. 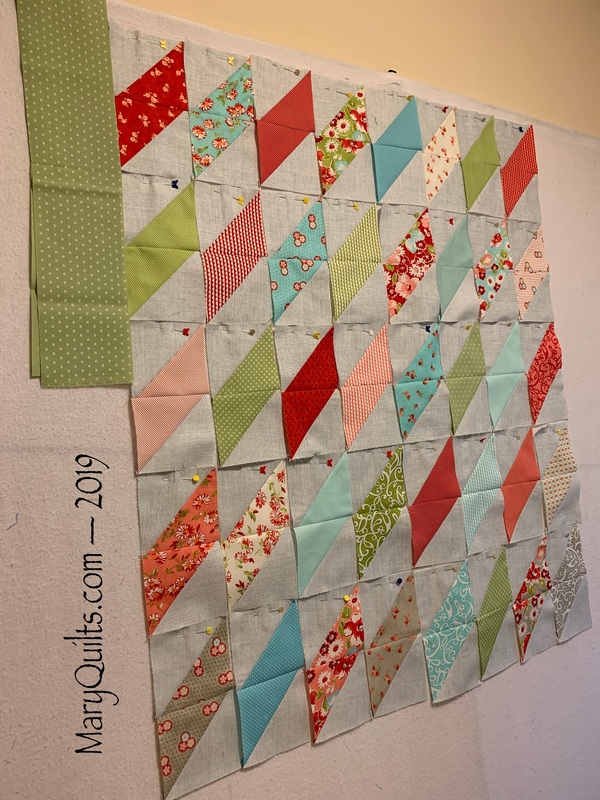 Stay well and keep on quilting! Right now it’s Yellow Brick Road by Atkinson Designs. Love the framed 9-patch! Think I’ll have to dig in the fat quarter stash and throw one together! !